Evernote users in iOS 8 May have noticed that they can add an Evernote widget to the Notification Center. It's an awesome way to quickly start a new note of any type. 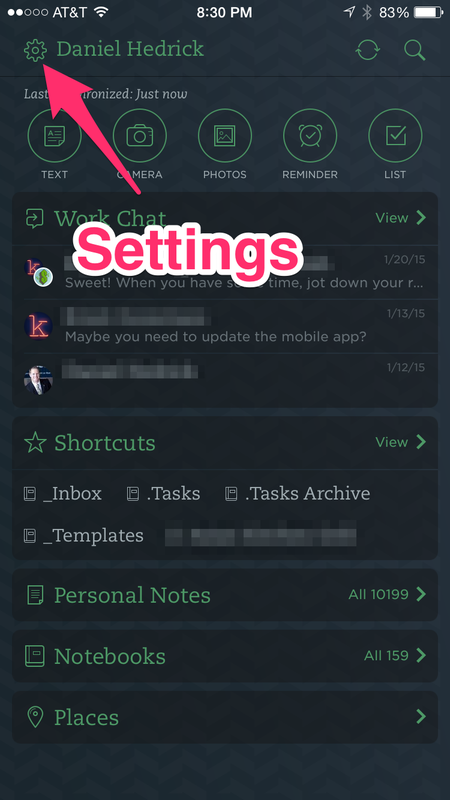 In one of the latest Evernote app updates, however, Recent Notes were added to the Notification Center. If, like me, you'd rather not display recent notes in the Notification Center, you can turn this feature off. The new note shortcuts will remain, but recent notes won't be displayed to anyone who swipes down the Notification Center.